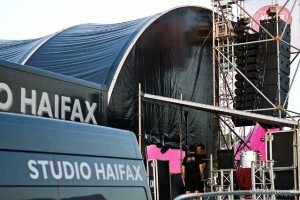 Audio rental house Studio Haifax is the first Belgium company to take delivery of a Coda Audio ViRAY system. Purchased from Coda’s Belgium distributor Apex Audio, the company has made this significant investment, says Studio Haifax audio/system and studio engineer Yves Van Moerbeke, "because it sounds incredibly real!" Established over a decade ago, Studio Haifax has experienced a period of rapid growth over the last few years. "This has everything to do with the professionalism that every single one of Haifax's technicians brings to the job every single day," says Yves. "But with good intentions only, you don't perform a single show." After the success of Belgium rock band Zornik’s Less > More theatre tour, for which Studio Haifax supplied a Coda Airline LA8 system, the company became better known within the Belgian live entertainment scene and started to work with other well-known bands. "A large amount of festivals came our way too," continues Yves, "so we needed to invest in a bigger system, something that could handle anything from a 200-seat theatre up to a 10,000 capacity audience. With the new ViRAY system we believe we can handle everything in between too. But, as you would expect, the main reason we invested in this array is because of the way it sounds. "And, because of its relatively small size, light weight, and extremely well built rigging system, it's easy to work with, and that gives us more time to enjoy the show ourselves." 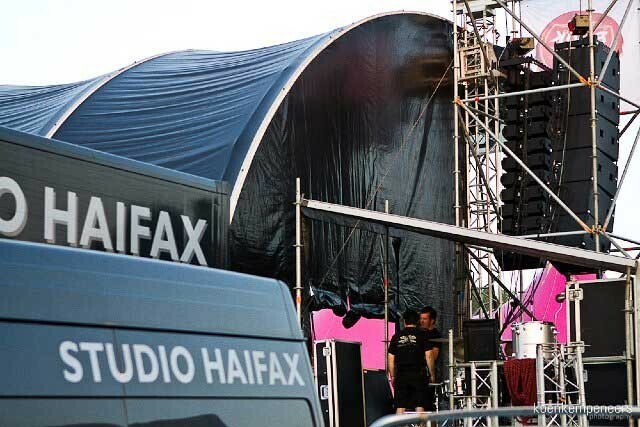 Studio Haifax took delivery of the ViRAY system at the end of June, not long after placing the order with Apex and right before a busy festival summer. 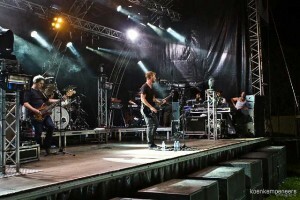 Since its arrival, the team has used it on a variety of shows, from small live bands playing indoor terraces, to full on rock bands playing large outdoor stages. "The service we get from Apex and Coda is first class," Yves continues. "They delivered the system exactly when they said they would and we have used it almost every day since. So far, we’ve only used it in the passive configuration. There are two main reasons for this: it saves on amps; and even when passively crossed, these cabinets have more than enough headroom to keep up with the SCV-F and SCP subwoofers. We've flown it in several configurations, stacked it, even beyond the written limits, every single time searching for the actual limits, which we have yet to discover. And if we ever get there, we'll switch to bi-amped mode, and start discovering all over again. "During the first weekend we used the ViRAY system, we had the pleasure of welcoming some of Belgium's finest engineers, who we're more than happy with our setup. Some of them have never been known to compliment anyone, but this time they couldn't do otherwise. Everywhere we go with this setup, we feel like everyone is enthused by it. Coda has made a name for itself in Belgium over the last year; every technician has heard about it and would love to play a show on it. I don't think that anyone would say no to Coda in Belgium now. "I can honestly say that I've mixed more bands on this array than anyone else in Belgium, and I can only say it makes me a better engineer. I've called it ‘closer to reality’ before, but honestly it is!"